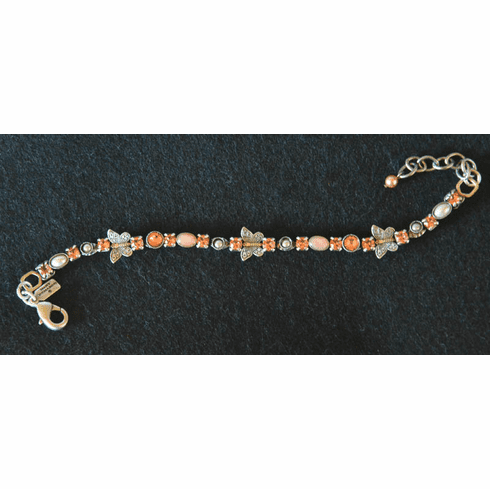 Butterflies on Parade Bracelet, Pink - Handmade in the USA by La Contessa from fresh water pearls, turquoise, Swarovski crystals and beautifully detailed pewter butterflies and flowers. The 8" pewter bracelet is adjustable for the perfect fit and it will stay put with the secure lobster claw clasp. Gift Boxed.